The cover of Swamp Thing #1. Deadline is reporting that actor and stunt performer Derek Mears (who played Jason Voorhees in the 2009 Friday the 13th reboot) has been tapped to play the swamp hero in his hulking plant form, while actor Andy Bean will play the character in his human guise of Alec Holland. Fans familiar with DC’s comics will recall that after the fateful accident that transfers Holland’s consciousness into a mystical swamp after he’s murdered, he no longer really presents himself in human form all that often, instead favoring to pull together plant life to form a kind of organic golem. 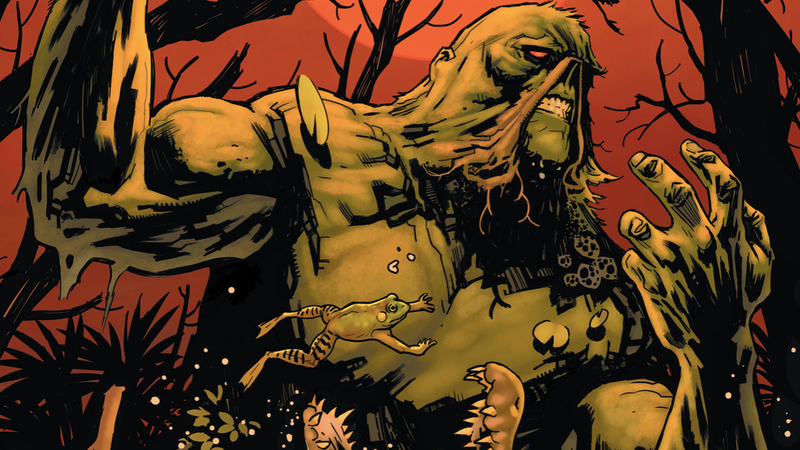 Given that DC Universe’s Swamp Thing has dual cast the role, it’s a suggestion that when the series drops sometime next year, it’ll spend a significant amount of time exploring Holland’s struggle to cling to his former life, even as his newfound connection to nature beckons him to let go and become something more.